Bone marrow is the soft, spongy tissue in the centre of the bone and is the place for formation of different types of blood cells including red blood cells, white blood cells and platelets. Bone marrow may also contain abnormal cells, proteins, and cancer cells. Bone marrow aspiration is a procedure in which a small amount of bone marrow fluid containing blood forming cells is removed with the help of an aspiration needle. It is performed to diagnose the conditions that affect the blood cells, to determine the extent of spread of cancer, presence of abnormal proteins, inflammation and infections. It can also be done to collect bone marrow for stem cell transplantation and chromosomal analysis. More often, the pelvic bone (hip) is used to obtain bone marrow. The skin over the pelvic area is cleansed with an antiseptic solution and numbness medication is injected to the skin and muscles close to the bone. 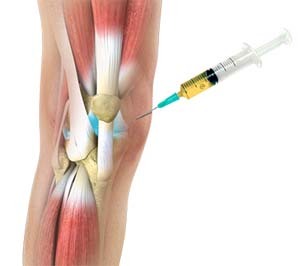 A special needle is inserted into the area and directed gently to enter the bone. Once the needle is in the bone, a syringe is attached to the centre portion of the needle so that the liquid portion of the bone marrow can be aspirated. A dull, aching pain may be felt which goes away when the needle is removed. A sterile dressing is placed after bleeding stops. Bone marrow aspiration is generally performed as an outpatient procedure and requires no hospital admission. You can resume to normal activities soon after the procedure. The area of injection should be kept clean and dry. Avoid taking a shower until the dressing is removed. Mild bruising and discomfort can be seen for several days which are normal. Pain medicines and ice packs applied to the area may help you feel better. It is necessary to consult Dr. Patel if you get a high fever, severe pain, redness, swelling or pus discharge at the injection site.